Where do I use my GLTC voucher code? Click the discount of your choice at NetVoucherCodes. Follow the link to the GLTC main website. Find products you wish to purchase and add them to your basket. Select the ‘My Bag’ icon to review your order. Enter your discount code into the box provided then select ‘Apply’. Watch you total price drop and select ‘Checkout Securely’ to complete your order. Great Little Trading Co was started in 1996 by two parents who wanted to provide practical products to help parents create a happy but organised living space for families. GLTC is now a very successful business that designs and manufactures a unique range of high-quality wooden toys and practical storage products that young families find really useful. Since 2004, GLTC has been awarded "Best Children's Retailer" on eight occasions, most recently in 2013, 2014 and 2015. 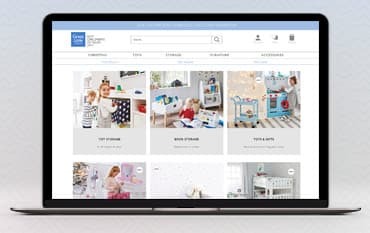 They have also been voted Best Online Retailer in 2014 and Best Independent Retailer in 2015 and their toys have won numerous awards for design and for encouraging imaginative and interactive play. What child doesn't love having their own play kitchen, where they can create their own culinary creations, just like mum - or dad? The Great Little Trading Company has a fabulous range of quality wooden play kitchens that will provide hours and hours of creative pretend play. They also have a range of play kitchen utensils and wooden pretend food that children will love to present you with after "cooking" it in their very own kitchen. Play kitchens can include just a cooker and sink with shelving or a whole range which includes cooker, sink, washing machine, microwave and cupboards. All painted in attractive colours and made from quality materials. On the back of my catalogue there's a catalogue code, what is this and how can I use it? This code is an exclusive discount for you as a catalogue customer. A catalogue code can be used online by typing it into the promotional code box on the basket page, or quoting it when you order by phone. How can I contact GLTC? Post: Customer Services, Great Little Trading Co., PO Box 336, Birkenhead, CH25 9DN or Live Chat. At the Great Little Trading Company, you’ll find all manner of helpful products to make living with your little treasures that little bit easier and more fun, for you and them alike. From play tables, kid-friendly lighting and storage boxes to safety items, school gear and children’s beds, our GLTC discount codes will help you keep your home - and your kids - more organised, more safe, and more enjoyable. The Great Little Trading Company is by parents, for parents, so they know from experience the kind of things you’ll appreciate.